Black widow spiders, also known by the latin name latrodectuspp, are eight legged arthropods characterized by their shiny black color and the distinct red hourglass marking found on the underside of their abdomens. Black widow spiders’ vary in size between the genders, with males measuring between 3 and 10 mm and females tending toward larger sizes up to 13 mm in length. There are a few other defining characteristics of the black widow spider. They tend to be shy in nature and only socialize for the purpose of mating, which makes them particularly susceptible to being startled. They spin large webs with suspended cocoons during the night, as they are nocturnal, and if you see one it’s more likely than not going to be hanging upside down and showing off that tell-tale red hourglass shaped warning sign. Yes! 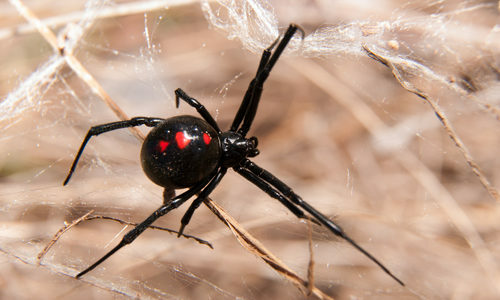 If provoked, female black widow spiders have been known to attack and possess the most toxic bite of any known spider in the United States. Within the first hour of a bite from a black widow spider, you’ll begin to feel dull muscle pain, swelling of the bitten area, and general discomfort, nausea, and perspiration – if you’ve been bitten and feel these things, go to a doctor to be treated immediately. While their bites are unlikely to be fatal, that does not mean that, if left untreated, they cannot become a serious problem. Why do I have black widows? This variety of spider likes to hide in dark, secluded areas of your home. Crevices, garages, basement corners, cluttered attics, woodpiles, and anywhere they can find that has the right dimness and protection they prefer. If you have piles of leaves, wood, or old boxes in areas of your home that are also dim and dark, then you have the perfect breeding ground for a potential black widow spider infestation. Don’t give them the environments they like to thrive in, including cluttered indoor and outdoor spaces. Keep seals on doors, windows, and all variety of entrance or exit in proper condition. Most importantly, if you ever see any webs or egg sacs in your home, immediately use a vacuum cleaner to remove them before eggs have a chance to hatch and spread infestations further. How can Gregory Pest remove black widows from my home or business? 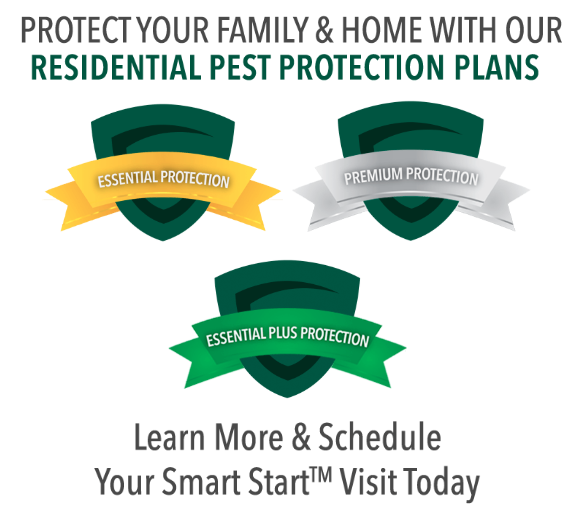 An expert exterminator from Gregory Pest Solutions will be your full-service pest solutions provider specializing in the effective, humane removal and prevention of black widows and their webs from your home or business. When you hire us to evaluate how extensive your home’s pest problem is, one of our pros will be sent to assess the spider situation and then formulate an environmentally friendly plan for removal and prevention. Once we implement our plan, our experts will clean the area and seal any openings that are prime for future entry for black widows as well as any other variety of spider so that you and your family can enjoy a lasting pest-free environment.